These presentation slides 41097 are complete compatible with Google Slides. Simple download PPTX and open the template in Google Slides. 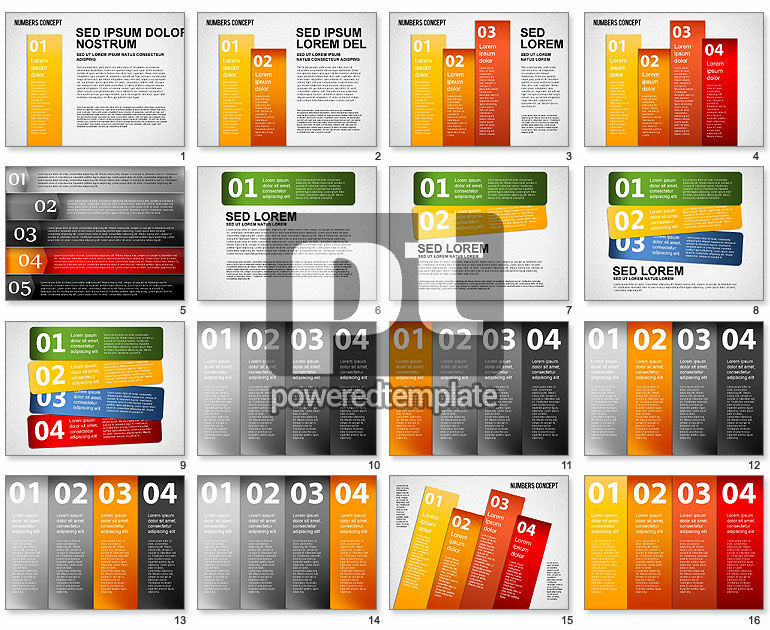 Meet this superb modern Bookmark with Numbers Toolbox theme in a modern style with many colorful stripes with numbers and areas for your content which will make your presentation just perfect. It is dedicated to showing step by step actions, visualization of your data, creativity, teamwork, success, reports, progress, growth, action plans. Also there are two background color solutions to choose.